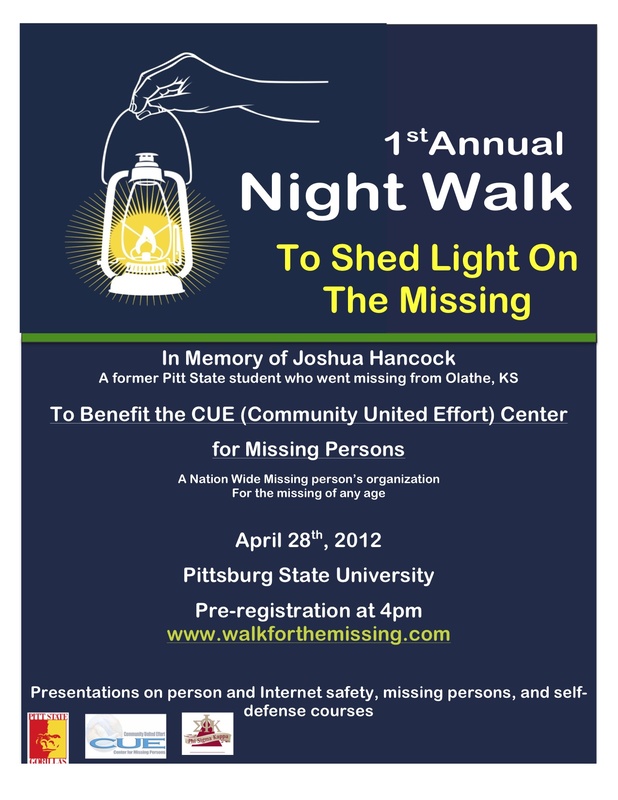 The walk will be on the Pittsburg State University campus, Pittsburg, Ks. This event is to both raise funds for the CUE Center for Missing Persons and public education regarding safety and missing persons. The education portion of this event is to both raise awareness of issues/advocacy of missing persons and personal safety education in hopes of possibly avoiding a future heartache.